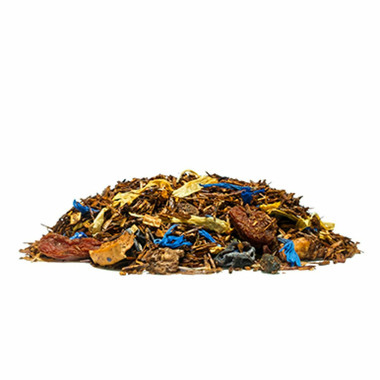 Ontario blueberries take center stage in this delectably fruity rooibos infusion. Enjoy this caffeine - free tea hot or iced with a drizzle of honey. 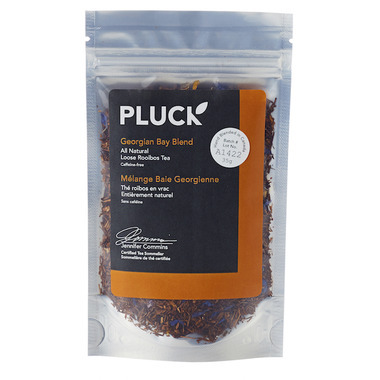 Ingredients: Rooibos, dried blueberries, dried raspberries, goji berries, calendula petals, raisin and apple pieces, cornflower petals, hibiscus petals, elderberries and natural flavours. Beautiful flavor. My new favorite rooibos tea. Would have given it 5 out of 5 but the package is pretty small.